Pinot Gris, also widely known by its Italian name of Pinot Grigio (both Gris and Grigio meaning "grey") is a white-wine grape originating in the Burgundy region of France. Though it is basically the same grape under both names (there may be slightly differing clones), the stylings associated with each name are somewhat different, as we will soon see. 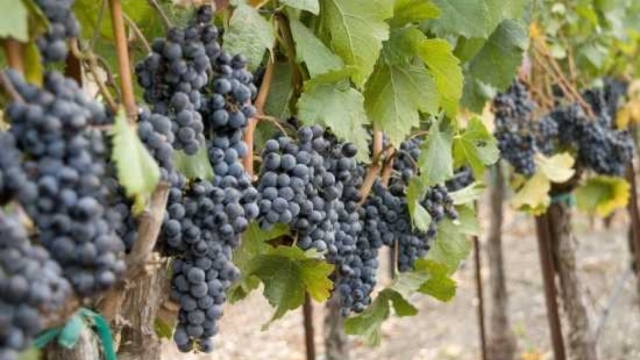 The grape is another of the several mutations from Pinot Noir, which is famously unstable genetically; as a recognized variety, it goes back to the early middle ages (by 1300, it had already travelled to Switzerland). Both Pinot Gris and Pinot Grigio are today widely grown across the wine-producing world, producing oceans of bland, indistinguishable plonk and the occasional bottling of more interest. To many casual wine drinkers, "pinot grigio" has become a loose synonym for any vague white wine. That is a shame, because the grape, treated with care, can do much better. The "Pinot Gris" styling of the grape tends at its best toward a characteristically Alsatian round, fairly rich, almost creamy style, wherein the acidity is not dominant and the alcohol is low. The "Pinot Grigio" styling, conversely, emphasizes acidity and crispness, has a bit more alcohol, and is generally "leaner" and less fruit-forward than the Alsatian style. Neither is inherently better than the other: they simply fill different niches. It is best to consider them as almost two different wine types; and the name under which the wine is marketed is usually a reliable clue to its style. In the U.S., it is the "Pinot Grigio" style that accounts for most of the dire plonk; wines labelled "Pinot Gris" are not thereby automatically better, but because that is not the more faddy name, you have better odds. As you will see below, the majority of introductory material about this grape tends to be aimed at folk who recognize it as "Pinot Grigio". Factoid: The grape was reportedly a favorite of the Emperor Charles IV, who had cuttings imported to Hungary by Cistercian monks: the brothers planted the vines on the slopes of Badacsony bordering Lake Balaton in 1375. The vine soon after developed the name Szürkebarát meaning "grey monk". "Pinot gris is grown across the globe with the 'spicy' full-bodied Alsatian and lighter-bodied, more acidic Italian styles being most widely recognized. The Alsatian style, often duplicated in New World wine regions such as Marlborough [New Zealand], Tasmania, Australia, Washington, and Oregon, tend to have moderate to low acidity, higher alcohol levels and an almost "oily" texture that contributes to the full-bodied nature of the wine. The flavors can range from ripe tropical fruit notes of melon and mango to some botrytis-influenced flavors. In Italy, Pinot grigio grapes are often harvested early to retain the refreshing acidity and minimize some of the overt-fruitiness of the variety, creating a more neutral flavor profile. This style is often imitated in other Old World wine regions, such as Germany where the grape is known as Ruländer. . . Wines made from the Pinot gris vary greatly and are dependent on the region and wine making style they are from. Alsatian Pinot gris are medium to full bodied wines with a rich, somewhat floral bouquet. They tend to be spicy in comparisons with other Pinot gris. While most Pinot gris are meant to be consumed early, Alsatian Pinot gris can age well. German Pinot gris are more full-bodied with a balance of acidity and slight sweetness. In Oregon the wines are medium bodied with a yellow to copper-pink color and aromas of pear, apple, and/or melon. In California, the Pinot gris are more light bodied with a crisp, refreshing taste with some pepper and arugula notes. The Pinot grigio style of Italy is a light-bodied, often lean wine that is light in color with sometimes spritzy flavors that can be crisp and acidic. Pinot gris is considered an "early to market wine" that can be bottled and out on the market within 4–12 weeks after fermentation"
"In general, Pinot Grigio is a light-bodied, high-acid, delicate white, although the top producers turn out wines that have more of everything: more intense aromas, flavor and weight—though no Pinot Grigio is ever as rich and full-bodied as a Pinot Gris, the French wine made with the same grape. Yet the Italians dominate by virtue of amount: There's a lot more Grigio than Gris. This is one of the problems of Pinot Grigio, as a wine produced in mass quantities is by definition of little interest to connoisseurs. . . Then there's the matter of all those truly "innocuous" and "uninteresting" wines. How many are there? Well, in the course of one month I probably tasted close to 60 Pinot Grigios and found that two-thirds could be described using those words. On the other hand, the other one-third of the wines were actually quite good." "The primary fruit flavors in Pinot Grigio are lime, lemon, pear, white nectarine and apple. Depending on where the grapes are grown, Pinot Grigio can take on faint honeyed notes; floral aromas like honeysuckle; and a saline-like minerality. Pinot Grigio doesn’t have a strikingly unique flavor the way Moscato or Riesling do, but it does offer a refreshing twinkle of acidity and a weighty feeling on the middle of your tongue – like licking wax paper. Stump the Sommelier Pinot Gris is a commonly feared grape variety in Sommelier Blind-Tasting Exams. Many wine experts identify Pinot Gris through the characteristics it doesn’t have. Italian Pinot Grigio Usually totally dry with brilliant acidity with a bitter almond note. French Pinot Gris Fleshy and more unctuous with faint honey notes from botrytis. American Pinot Grigio Often with more exaggerated fruit flavors and with less acidity than European counterparts. Pinot Grigio often tastes less sweet than Chardonnay because of high acidity. There are two examples where Pinot Grigio is sweet. 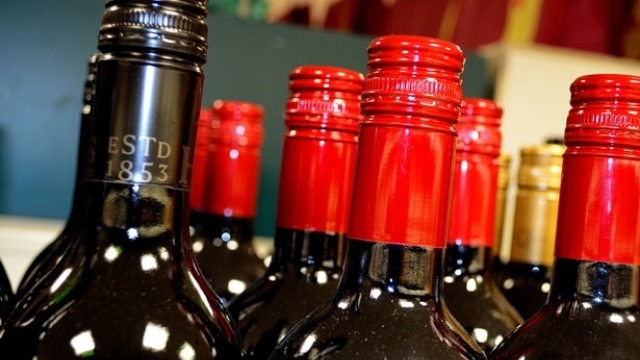 One example is cheap supermarket Pinot Grigio designed to woo mid-week wine drinkers. The second (and considerably more rare) are the slightly sweet Pinot Gris from Alsace. " "Most Pinot Grigio is dry with fruit flavors of pear and apple with hints of lemon and mineral. They range from light to medium body and should be consumed when they are fresh and young. Pinot Grigio is the same grape as Pinot Gris, which is grown in a medium-bodied style in Alsace, California and Oregon. . It is important to understand that although Pinot Grigio and Pinot Gris are the same grape, they are capable of producing a variety of white wines in a number of different winegrowing areas. The lesser expensive Pinot Grigio produced throughout Italy is a nice, crisp and dry wine with a neutral flavor. As the price increases with Italian Pinot Grigio, so does the body and flavors of the wines. At their best, they contain wonderfully crisp acidity, complemented by loads of citrus fruit flavors. Impressive hints of mineral add dimension to the refreshing long finish. The best Pinot Grigio is produced in the northern area of Italy, benefiting from the cooler climate. The Pinot Gris of Alsace and Oregon are wonderfully crisp as well, but are fuller bodied and more aromatic. Along with an abundance of citrus fruit, Pinot Gris offers additional complex flavors of tree fruits and even hints of almond. This is mostly to do with the soil and climate in which they are grown." "Pinot Grigio flavors can range from melon to pear and some even offer a subtle tropical or citrus fruit, often there is a honey or smoky flavor component as well. As for color, Pinot Grigio is typically a pale, straw-like yellow with some golden hues thrown in. The texture of a Pinot Grigio is worth noting, as it has very smooth, almost silk-like overtones that leave an impression on the palate. " "Personally, I find these [desireable] qualities most prevalent in the Pinot Grigio wines from Alto Adige in Northern Italy, where the wines show great purity, and are delicately aromatic with great intensity and depth of flavor. As for the Pinot Gris style, I am truly an ardent Alsace fan. Alsace Pinot Gris wines show incredible richness, breadth across the palate, earthy minerality and terroir. Outside the motherland, I have also come to really love Oregon Pinot Gris, which in many ways combines the richness and texture of the Alsace style with the more vibrant fruitiness of the Italy style." "Flavors and aromas vary greatly from region to region, and from style to style, but commonly feature notes of pears, apples, stone fruit, sweet spices and even a hint of smoke or wet wool. 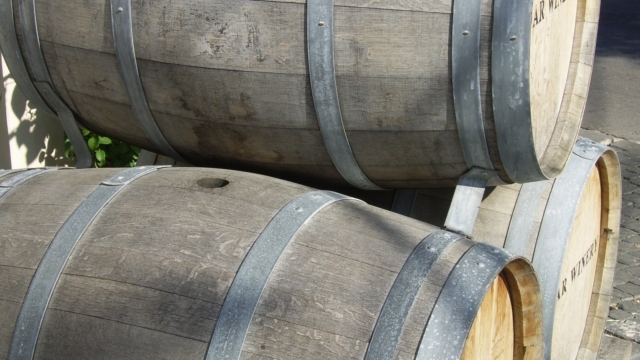 Most winemakers avoid obvious oak character in their Pinot Gris, but some use older barrels (which leave less oak flavor in the wine) for fermentation. For weightier, more complex styles of Pinot Gris, lees contact and partial malolactic fermentation are commonly used. . Pinot Gris grapes are naturally low in acidity and high in sugars, so the finest Pinot Gris wines come from the world's cooler viticultural regions; those from warmer climates tend to lack acidity and structure and can be overbearingly alcoholic. Europe's showcase examples come from vineyards on either side of the Rhine river, from Baden and Pfalz in Germany and particularly Alsace in France. . . Of the 'New World' wine regions, the variety is doing well in the United States (most notably Oregon but also Washington and California) and New Zealand. New World producers have recognized and respected the distinction between the Pinot Gris and Pinot Grigio styles, and typically label their wines accordingly (lighter, drier versions as Pinot Grigio, while sweeter or richer styles as Pinot Gris)." "[Pinot Grigio] Pale, straw-yellow or very light copper in color with a bright and flowery fragrance. Firm acidity gives Pinot Grigio a mouth watering appeal. Generally offers nice mid-palate balance with a short, clean finish. Another one to drink young, young, young!" "[Pinot Gris] At its best, in Alsace, where it's usually called Tokay Pinot Gris, the wines are extremely rich and honeyed, in either a dry, or just off-dry style. Characteristic flavors include peach, apricots, tropical fruits, and spices. In Oregon, Pinot Gris is usually dry, with few examples seeing much in the way of oak. Alsace Pinot Gris: The third grape in Alsace's holy trinity, Pinot Gris is far more likely to produce a fat, oily, even viscous wine than a racy, high-pitched drink. Pinot Gris (also known as Pinot Grigio), is characterized by rather exotic aromas and flavors of peach and apricot, tropical fruits, orange peel, butter, nut oil, smoked meat, spices, earth, and honey. As with Geurztraminer, traditional versions of Pinot Grigio are reminiscent of ripe Chardonnay. In the hands of some producers, they are among the richest white wines of France. Pinot Gris is a versatile food wine well matches to the rich cuisine of the region -- it's frequently paired not only with pates and foie gras, rich fish prepartations and white meats, but even with red meat dishes. Oregon Pinot Gris: Outside of the cool, hilly Alto Adige region of northeast Italy, no other region produces as many fresh, elegant examples of Pinot Gris (called Pinot Grigio in Italy) as Oregon. Unlike the weightier, spicier, and more flamboyantly ripe examples from Alsace, Oregon Pinot Gris is usually fermented to complete dryness, and few examples see much in the way of oak. Instead, the top producers make brisk, highly aromatic, light-to medium-bodied wines that emphasize clean orchard fruits such as apple, pear, and peach, often with citrus elements as well. These wines are normally best consumed within a couple years of the vintage for their fresh fruit; they are excellent choices with a range of warm-weather fare and go especially well with light, fresh seafood preparations. Pinot Gris rather than Chardonnay is the flagship white wine for many Oregon producers -- a smart move in light of the popularity of these wines." "While Pinot Grigio is in fact the same grape as Pinot Gris (just the Italian take on it), the differences of wine they create can be immense. 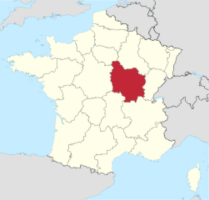 Pinot Gris' most popular and successful region is Alsace, France, an area of the country that actually puts the name of the grape on the label. 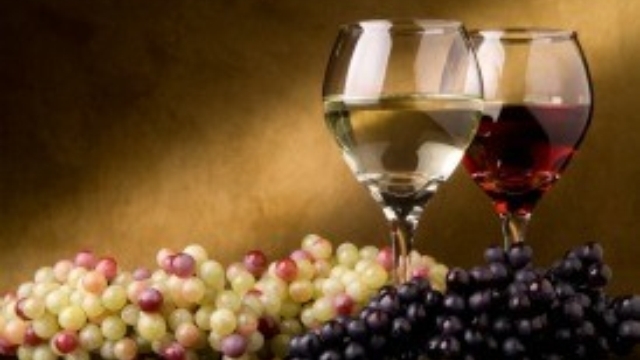 Pinot Grigio is the Italian version of the grape, known for its light, crisp acidity. But wines from other regions usually term their wine Pinot Gris or Grigio based on the wine's flavor profile. Pinot Gris from Alsace creates rich, stone fruit-laden wines. They are perfumed and aromatic, and typically dry. It has round body and medium acidity. Take the grape a bit south to Italy, and it creates a very crisp, high-acid, citrus noted wine. Both are flavorful, but wine named Pinot Gris typically provides more body and rounder fruits while Pinot Grigio gives lighter-bodied, citrus fruits. Oregon and California are also growing the grape, Oregon having success with a more Alsacian style and California producing both. Winemakers often call the wine by the style they wish to replicate - for Italian style, look for Pinot Grigio, for the Alsacian style, look for Pinot Gris. . . Common Descriptors: peach, pear, floral, citrus." "Pinot Gris and Pinot Grigio are identical in the sense that they are made from the same grape. But there is a big difference in the spectrum of styles that can be made from this grape. Pinot Gris from the Alsace region of France is typically rich and often sweet, with rich, spicy tropical fruit aromas. Pinot Grigio in northeastern Italy shows a lighter, crisp, clean and vibrant expression of the grape, with citrus flavors. Outside of these specific areas, the name vintners will use on the label is mostly a stylistic decision (as with naming a wine Syrah or Shiraz when it comes from neither France nor Australia), so they will usually select the name that best fits the style they're going for, Alsatian or Italian." The problem here is winnowing down the list. Numerous wine writers propose Gris/Grigio bottlings that, they assure us, are superior to the tidal wave of goop. But it is not common to find the same wines on any two lists (a good sign: there are probably more good ones than it might seem). We have tried to find what seem as close to consensus picks as feasible. To (slightly) simplify matters, we have separated out our chosen samples into Pinot Gris and Pinot Grigio types, for as much or as little as that may mean. ♦ A mixture of honeysuckle, pear, apple and quince aromas abound on the nose, followed by white peach and some spice on the well-balanced and smooth, dry palate. ♦ With its subtle, delicately fruity aromas and dry, gentle fruit character on the palate, this shows a persistent elegance. ♦ Accolades keep coming for this outstanding biodynamic Marlborough producer. This is a lovely, fresh, dry-style gris; yellow flower notes and a herbal twist wrapped in a round, gently textured package. ♦ ules produces very smart wines as you’d expect from someone who previously worked at Cloudy Bay and Kim Crawford Wines, both kiwi Icon brands. But her Jules Taylor wines are much more artisanal and characterful with real complexity and attention to detail. I’m especially a big fan of her Gruner Veltliner but it was her 2016 Pinot Gris that unexpectedly just blew me away…A beautiful textural Pinot Gris with lucious pear, white peach, tangerine peel and aromatic stone fruit flavours. The partial wild ferment imparts extra richness, and exotic complexity while the lees stiring contributes a complimentary nutty, biscuity minerality. There is no flabby fat on this taught, beautiful Pinot Gris with the wine remaining almost bone dry at 1.8 g/l RS. The palate is layered and textured but underpinned throughout by a vibrant crystalline acidity and great fruit intensity. I don’t think I’ve enjoyed a kiwis Pinot Gris this much in years! 93 points. ♦ I was pleased to find a wine that had more of a golden color and somewhat heavier than a Sauvignon Blanc or a Pinot Grigio. This lovely wine has honeysuckle, peach and pear aromas with a hint of ginger. On the palate there was more pear and peach with some citrus and a slight but lingering baking spice. This Pinot Gris has crisp acidity with considerable complexity from partial malolactic fermentation. The Jules Taylor Pinot Gris is still light enough to be a porch sipping wine when properly chilled, but it works very well with seafood and vegetable dishes. It really shines with spicy curry dishes. ♦ This Pinot Gris consistently rates highly (with me) for its intensely fresh flavours of subtle white fleshed fruit, such as white pears, white peach and lychees. It’s dry with refreshing crispness and a medium body, all giving it a strong lead on many of its competitors. This is a very good wine with 3 to 4 years time up its sleeve, but why wait? It tastes great now. ♦ Eyrie’s Estate Pinot gris consistently offers ridiculous value. Part of its secret rests in vine age, with a huge portion of the fruit coming from vines planted in the 1970s, giving flavor concentration and complexity. Lett’s vision placed Pinot gris as the perfect pairing for salmon, rather than Chardonnay, illustrating Eyrie’s ability to combine flavor with fresh acidity, and mineral length through the variety…The Eyrie 2012 Estate Pinot gris offers the expressive fruit liveliness of the vintage, with lots of freshness, and mineral crispness…Expect fresh melon, accents of lily with greenery, and a hint of rhubarb on tons of crunchy mineral length. This wine is all about palate stimulation, and making your mouth water without gouging your pocket book. ♦ In 2003, The Eyrie Vineyards Pinot Gris is much closer to the Alsace style than the Italian, in its richness of aroma and flavor, its full body, and its soft texture. In particular, the aroma and flavor of peach stone--along with a strong mineral note--is similar to many Alsace expressions of this grape; notes of tangerine also accent the wine. Where Lett's wine diverges from many Alsace Pinot Gris wines today is in its dryness: although it is ripe, the wine is completely dry. Apart from the dryness of the 2003 Eyrie Pinot Gris, its captivating but not exaggerated flavors, and its artful balance of acid and alcohol, I love the amount of extract that this wine has. Within the big volume that the wine's high alcohol describes in my mouth, the extract grounds the wine, gripping my tongue and lending gravitas to what otherwise might be just plain pleasure…Serve it refrigerator temperature to start, and watch the wine become increasingly generous as it warms up on the table. It's a worldclass wine, and it's also a great drink. Outstanding: 92 points. ♦ Structured and elegant, this lovely Pinot Grigio opens with delicate scents of white Alpine flower, citrus and a whiff of herb. The bright palate offers creamy white peach, crisp green apple and juicy nectarine while a mineral note backs up the finish. Bright acidity provides lift and balance. 90 points. ♦ This straw colored Pinot Grigio from Alto Adige is very nice. It opens with a faint lemon-lime bouquet with hints of wet stone. On the palate, this wine is medium bodied, balanced, smooth and approachable. The flavor profile is a tasty mild mineral infused Anjou pear with notes of citrus and a hint of lemon verbena. The finish is dry and its flavors fade away nicely. ♦ If only all Pinot Grigios were as good as Abbazia di Novacella's! Its 2006 is lively and crisp, with the acidity which is lacking in most commercially produced Pinot Grigios. It is dry, medium-bodied, with fresh, tart pear flavors. 90 points. ♦ The Abbazia di Novacella…was full of peach, citrus and, because a third of the wine was fermented in oak barrels, a buttery roundness. ♦ [Google-tranalated from Russian:] The amazing white dry "Vigne Orsone" Pinot Grigio is a very delicate and refined wine with a delicate fruity-floral aroma and balanced fresh taste. This wine is made from the wine of the same name Pinot Grigio, which has a good mineral and acid structure…Color - transparent, medium saturation, yellowish green, with a beautiful shine. Aroma is pleasant, harmonious, not strong, but deep: sweet-sour apples, pears, and then many flowers and a bit of meadow, which is almond; Alcohol is not felt. The taste is very fresh, oily, saturated, pleasantly poured in the mouth, slightly pinch. Repeats the fragrance, adds lime sour, chalky mineral content. The aftertaste is a long, pleasant memory of the summer, apple-pear, sprinkled with lime and chalk-pricked… I recommend unequivocally. ♦ [Google-translated from Korean:] A blueprint, a light citrus, a little trimming, a sting. The acidity is very well supported by the pinnacle, and it is light but has a slight oil texture. It melts everywhere so that the minerals are felt well throughout the pallet, misleadingly at first glance. In aftertaste, the nuts and roasted yellow fruit and vegetables are not overly bored by the soft and salty flavor, and the finish is short .. The impact is less, but the tolerance is broad, and it seems to fit very well with light seafood as well as various seafood…It's easy to say, this is also pretty good for Pinot Grigio. ♦ Gold with copper highlights, this elegantly structured wine offers heady scents of white spring flower and orchard fruit. On the juicy, savory palate, nutmeg and mineral notes back up ripe apple, mature pear and apricot that lead to a fresh finish. 90 points. ♦ [T]his Pinot Grigio from the Collio DOC on the Italian border with Slovenia is worth seeking out. This is no simple, easy-drinking Pinot Grigio, but a wonderfully complex, rich white the color of pale onionskin. "Jesera" from the venerable Venica estate is a serious, even fleshy wine with notes of pear, apricot and quince, and a long, lovely finish. ♦ Pears, floral notes and ripe apricot notes with a citrusy kick. Balanced and fresh with a long fruity finish. For the Pinot Gris styling of the grape, a good choice would be the Albert Mann Pinot Gris Hengst Alsace Grand Cru. For the Pinot Grigio styling of the grape, a good choice would be the Vie di Romans Dessimis Pinot Grigio Friuli Isonzo.